Life with Bethie the Boo: What was I waiting for? Well we made it to Friday! I have been so excited to wear this outfit! I finally gave into the jegging/skinny jeans fad and now I'm like, what was I waiting for?? I love these jeans!! They are soooooo comfy! Everything I'm wearing is new/new to me. Thanks to some awesome gift cards and birthday money! I am just in love with this whole outfit. 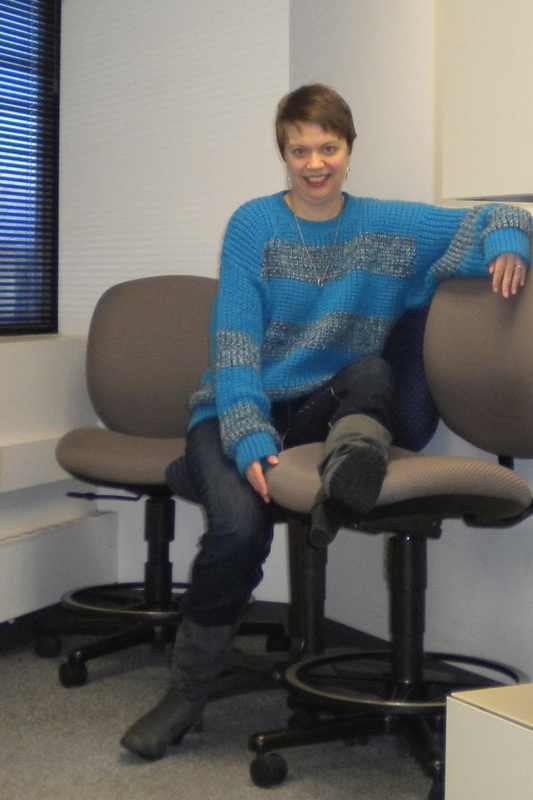 Maybe a hair too casual for casual Friday at work, but I'm alone in the office today and hey, I'm warm and I'm comfy. And I think I'm cute too. I got my hair cut yesterday and it's all cleaned up for Christmas. Not a dramatic change, just a little sprucing up. I'm really feeling over the hump on this darn cold too, I think the cough will linger for a bit yet, but I more or less feel like a human again! The Pants Monkey is doing ok as long as he is taking cold medicine. I think he and I are going to have a busy weekend of finishing up Christmas shopping. We don't have much, but we do have a little. Then next week begins the wrapping portion - not my favorite part. The sweater looks fabulous on you! So cute! I love it with the skinny jeans. I cannot believe you waited until now to buy some. I wear mine constantly! I hope you have a great weekend! Cute outfit!!! I don't think that it's "too casual" for casual Friday at work. I am dying over those boots! They're absolutely fantastic! I like the skinny jeans and the baggy sweater. that is something I would definitely wear on a casual Friday. Hooray for skinnies! Skinny jeans, boots and slouchy sweaters are my absolute favorite for winter wear. Your new do looks great, I like your bangs.